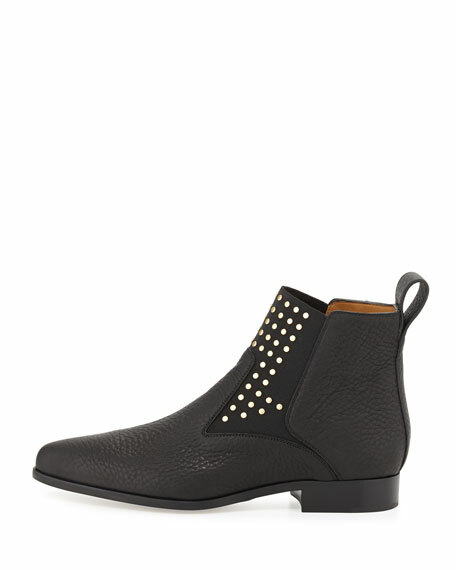 With the help of a studded stretch panel, this tailored Chloe Chelsea boot slides on and moves with ease. 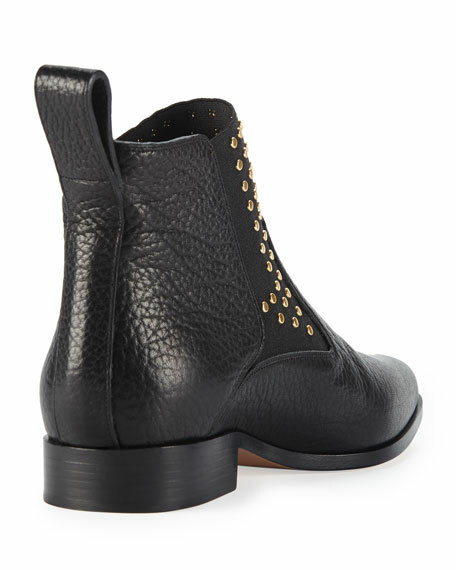 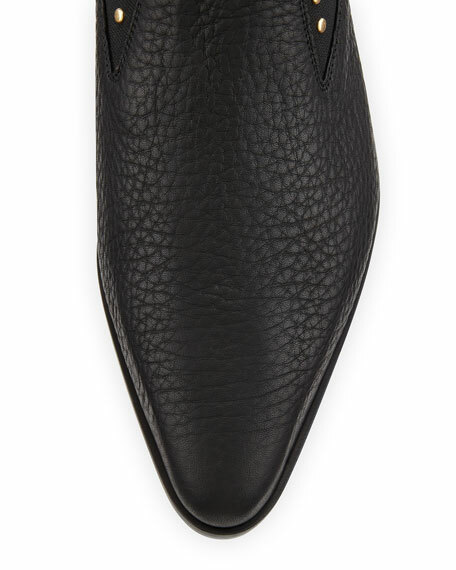 Chloe pebbled leather Chelsea boot. 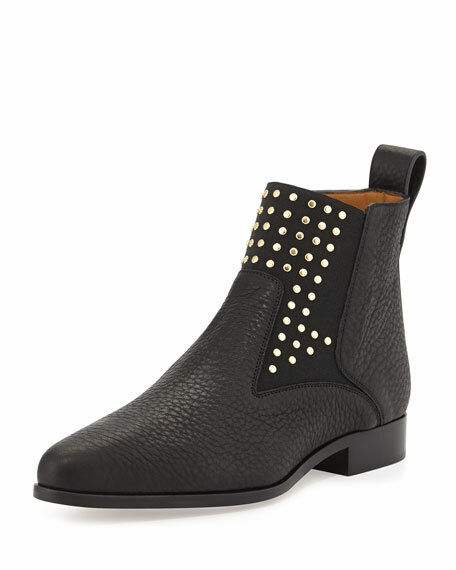 Contrast stretch panel with golden studs.